Flagstaff always seems to me the quintessential western town, but maybe it just made a big impression on me during my first visit there as a child about eight years old. I was crazy about all things western and was completely intrigued by American Indian culture. My clear memories of our visit there include my very indulgent father seeking out the local BIA office and entering it, my mother and me in tow, and asking the man behind the counter (clearly an indigenous person), "Where can we witness some real Indian culture? My daughter wants to meet some Indians!" I don't really remember what the Indian man told us or where he directed us to go (or where he maybe wanted to tell us to go), but the incident embarrassed my mother, who didn't think that was a proper question to ask. "Gene," she said to my dad, shaking her head, "That man WAS an Indian." Anyway, eventually I did study Indian culture when I returned to school a dozen years ago, and spent a summer interviewing some of the grandmothers in the pueblos before writing about them for my thesis. But that's another story. So Monday I had two treats. Just for the record, the weather wasn't one of them. 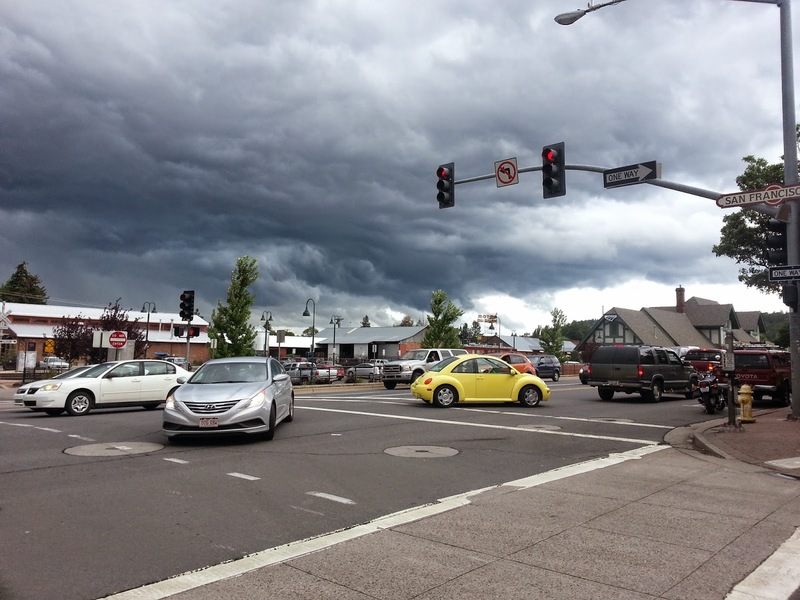 After four days of Kingman's 90+ temperatures, Flagstaff seemed especially cold with its 50s-60s and rain. My first treat was my third cousin Lauri Devine from Phoenix drove up to Flagstaff so we could have a visit while I was out west. 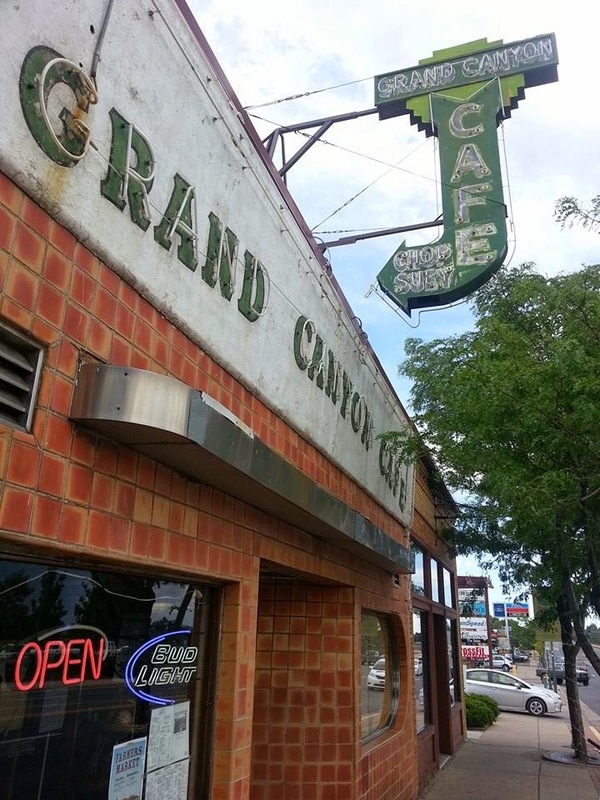 Lauri generously let me choose the restaurant and I picked the Grand Canyon Cafe on 66, a favorite of the locals as well as 66 travelers. 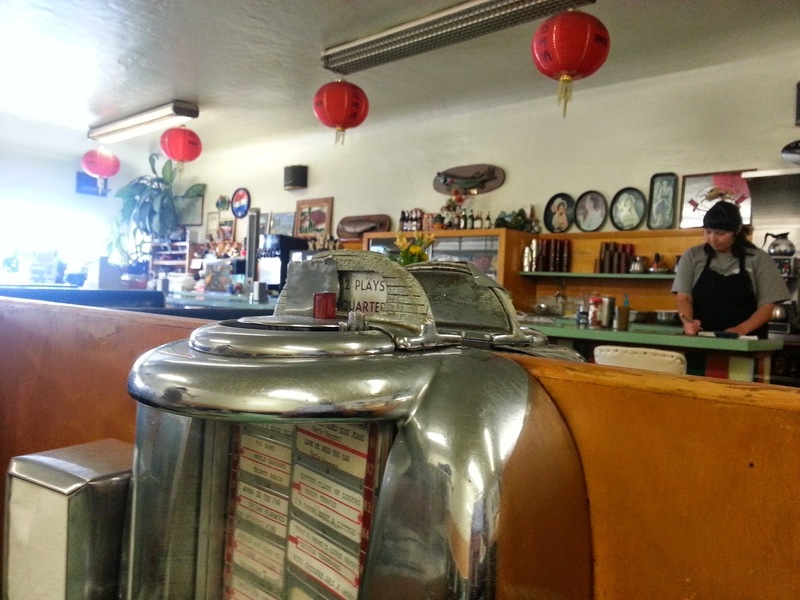 This restaurant has been operated by the Wong family since 1945. Well, yes, I had the chop suey. 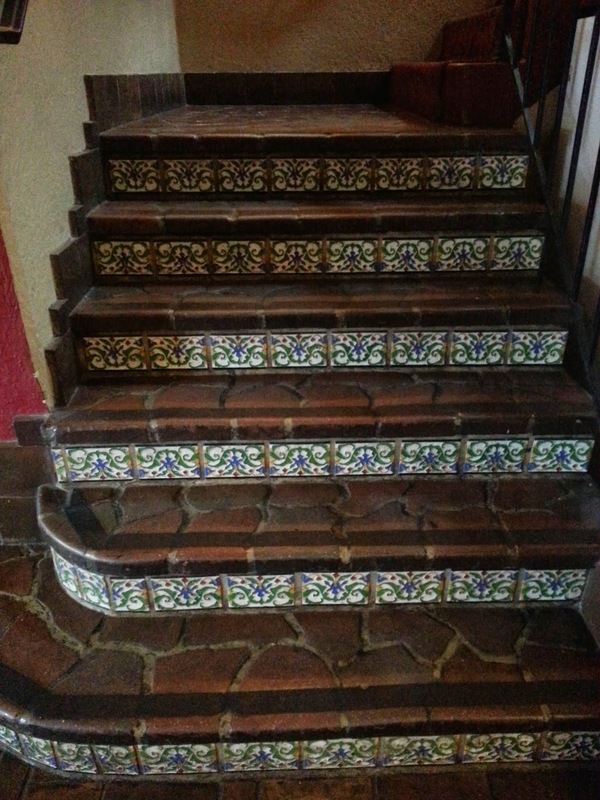 My second treat was visiting and photographing the classy Monte Vista Hotel a block or so away from the cafe. The huge sign atop the hotel is a landmark visible all around the downtown. 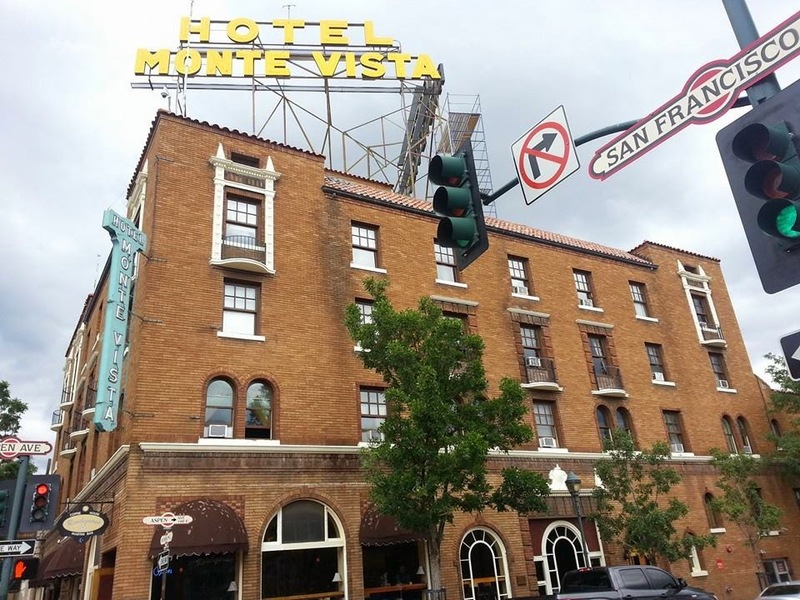 Built in 1926, the Monte Vista Hotel is still open for business and boasts a variety of small retail spaces and a coffee shop on the first floor surrounding the rather lush lobby. It looks like nothing has ever been changed here - a delight in itself. 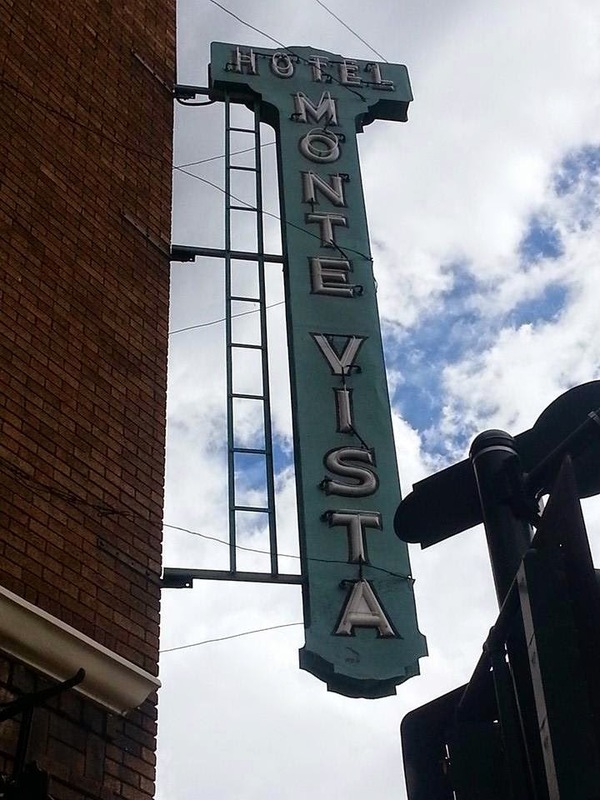 The Monte Vista story began in the 1920s when citizens decided that their city needed a first-class hotel to serve an increase in tourists. 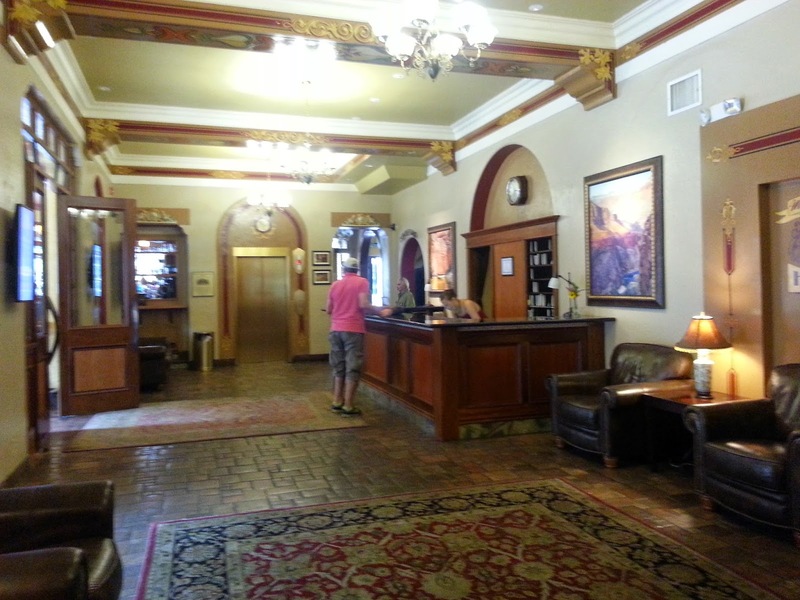 Fundraising began in earnest, and one large donation came from the novelist Zane Grey, who later stayed at the hotel in Room 210. Another story related to the hotel has intrigued me for some time. 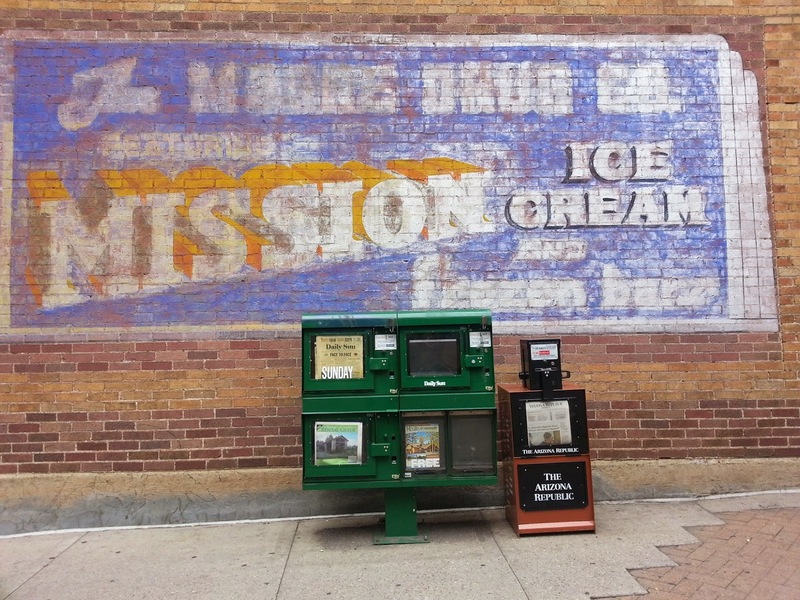 A remarkable young woman named Mary Costigan came to Flagstaff and became a motion picture operator, owned a beauty shop and a flower shop, and was said to be only the second woman in the world to obtain a radio broadcasting license, back in the 1920s. She began broadcasting in the Orpheum Theatre and then moved her show into a room on the first floor of the Monte Vista. A pioneer of women's radio broadcasting! 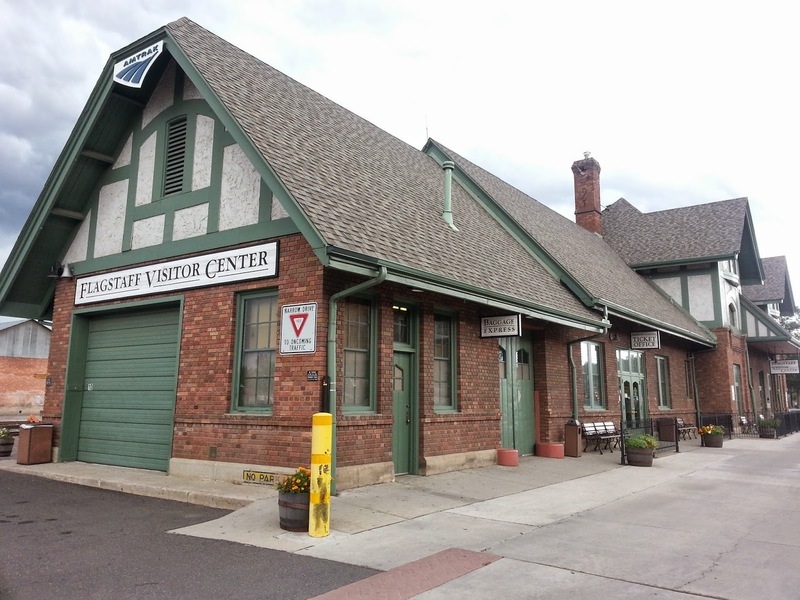 How many Route 66 travelers in Flagstaff listened to Mary's show? I'd love to know. 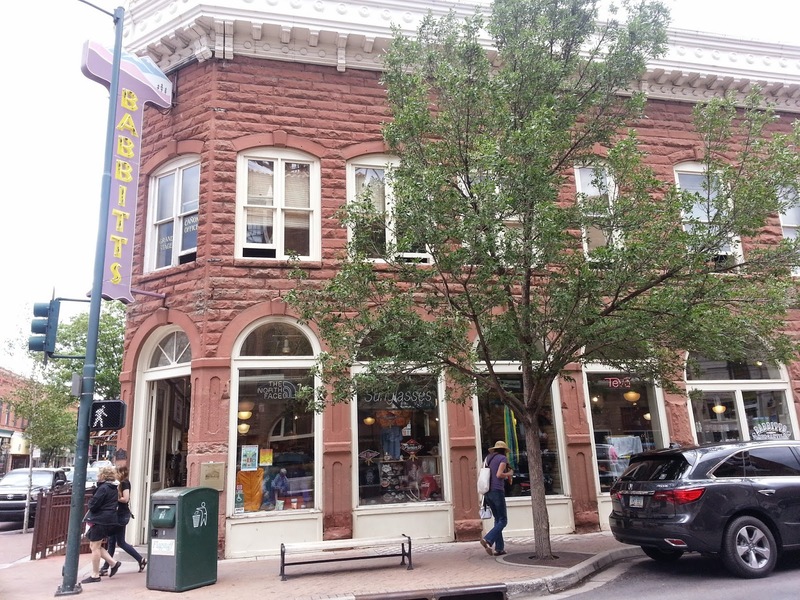 Mary lived and worked in Flagstaff until 1931. And I bet she met some Indians, too.